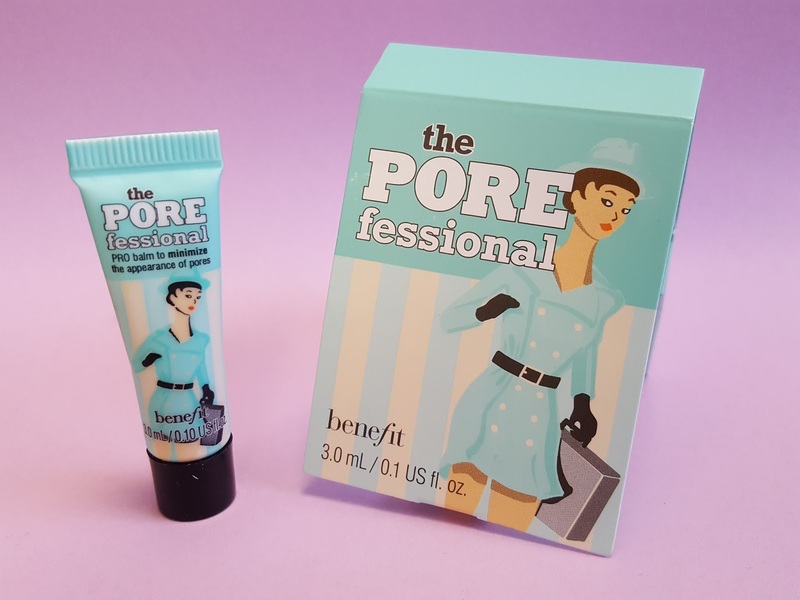 Benefit Cosmetics The POREfessional Face Primer (0.1oz, value $4) - I first tried The Porefessional a couple of years ago as part of a primer trio and instantly fell in love with how smooth it made my skin appear. Plus I liked how velvety it felt. Very glad to get more! This is a small tube but a tiny dab goes a long way. 'Tini Beauty Eyetini Eyeshadow in Firestarter (0.06oz, full size, value $13) - Is it just me or does it seem like almost every eyeshadow in a subscription is gravitating toward copper? I swear this must be my 5th copper/bronze eyeshadow in as many months. And I don't subscribe to a ton of boxes so that's saying something. This is a shimmery buildable shadow that can also be used to top off lipstick for a matte shimmer finish (though I'm still hesitant about licking my eye makeup...). 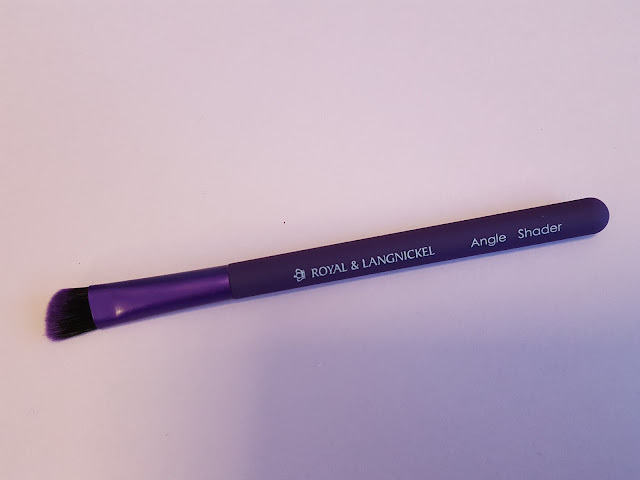 Royal & Langnickel MODA Angle Shader Brush (value $6) - Fun fact: Did you know that this company runs the brush gamut, from art paintbrushes to makeup brushes to nail polish brushes? This angle brush is great for fine contouring especially with liquid or cream makeup. My favorite part is the handle - it's acrylic with a rubberized coating for extra grip. 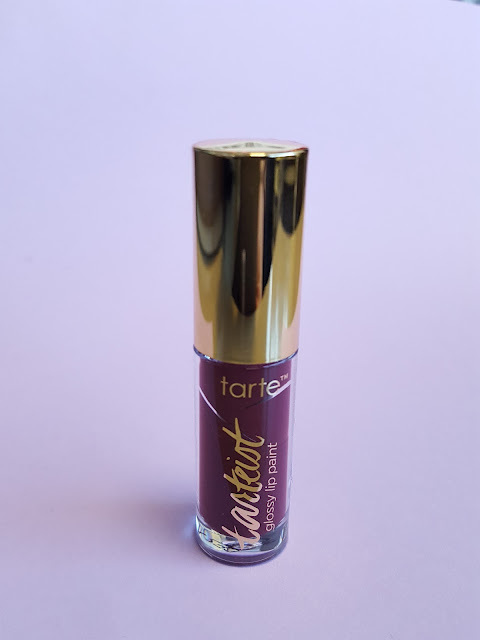 Tarte Cosmetics Tarteist Glossy Lip Paint in WCW (1ml, value $3) - Apologies for my subpar photography skills - this lip gloss is actually less purple and more boysenberry than it looks in the photo. 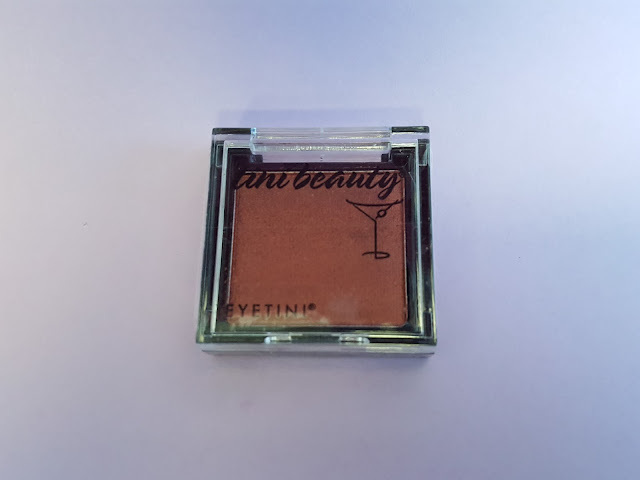 It's highly pigmented and should make it through a meal without rubbing off. Cake Beauty Heavy Cream Intensive Hand Repair Balm (1oz, value $6.50) - I'm a sucker for anything dessert-scented so I'm pretty sure I'll love this hand cream. 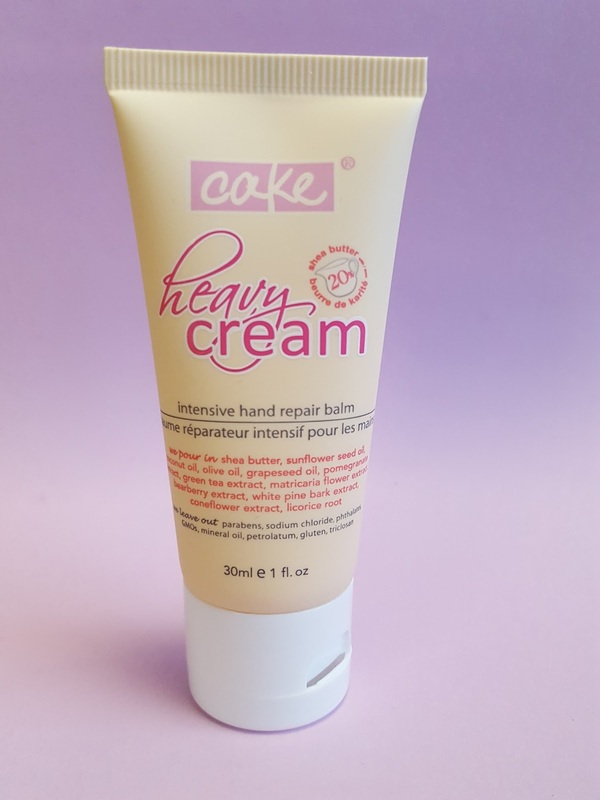 It smells like vanilla cake batter and is contains 14 nutrient-rich ingredients (shea butter, coconut oil, pomegranate extract, green tea extract, and the list goes on and on...) to keep your skin smooth and moisturized all day. Treat yourself for the new year and sign up for Ipsy! (You deserve it :D) Get started by clicking here to find your beauty profile. At just $10 per month Ipsy is one of the most affordable beauty subscriptions you can find, and in my opinion the value you get is totally worth it.